Yay for progress! Usually I feel like I am failing at seasonal projects but I feeling pretty good about my Finish 5 by Cinco de Mayo and this Finish 6 by Summer project. This is my second update for Finish 6 by Summer. As of this 2nd update, I've finished 2 more products. 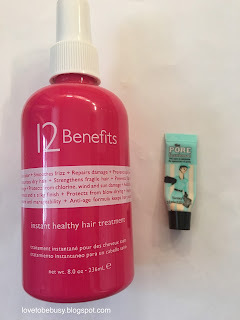 I finished the 12 Benefits hair treatment and the Benefit Porefessional deluxe sized face primer. I am at a total of 3 products finished now! I have yet to use any of these four products. I have 1-2 uses left in another mask and then I'll be using these (Tarte clay mask and Malin and Goetz clarifying clay mask). Since they are deluxe samples, I think I'll have no problem finishing them as long as I mask regularly and don't forget. As for the lip products, this week I finished the lip products in my Finish 5 by Cinco de Mayo (spoiler alert!!!) so I will be starting to use these now every day. At the next update, I will have progress to report. Both of these are full to start. 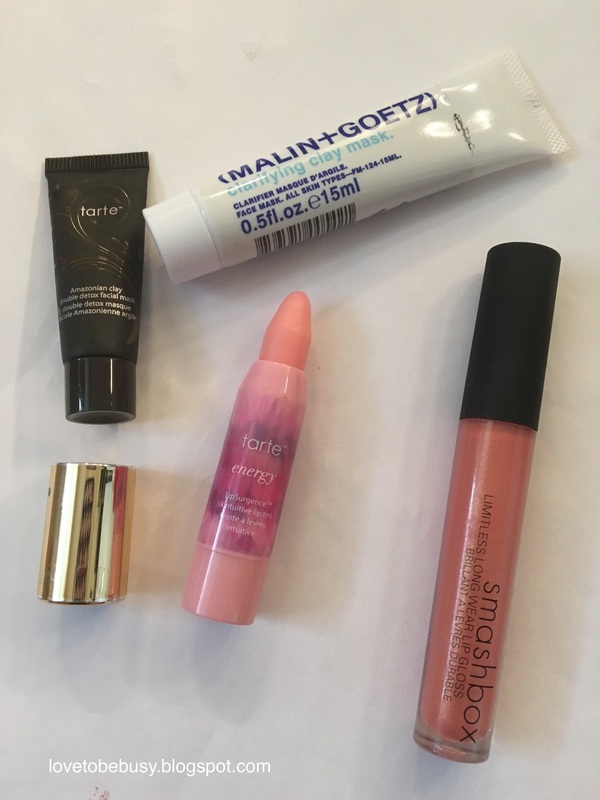 The Tarte lip crayon is in Energy (a pink shade that adjusts to you) and the Smashbox gloss is Limitless (discontinued). 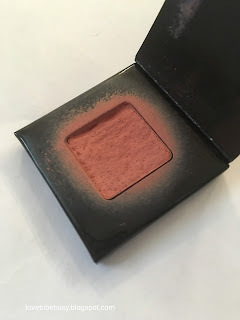 This is my Jouer cream blush in Petal. My goal was just to hit pan which I haven't done yet. I tried to take the picture from the side so you can see the left side that I've been focusing on. I may hit the pan along that edge by the end of the project. Fingers crossed! 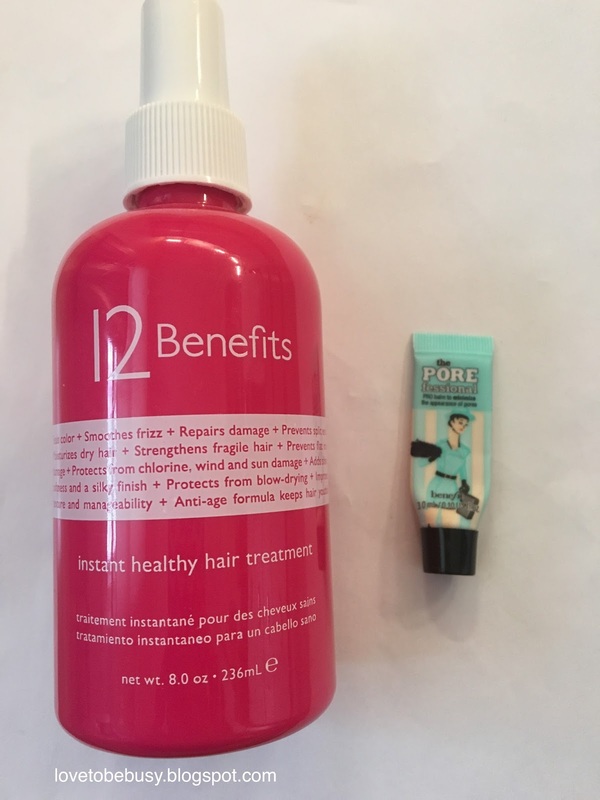 I'm excited to be finishing off some products and getting started on my lip products. How is your project going? I am going to be starting Finish 50 by Fall at some point. I haven't decided if I will start after Finish 5 by Cinco de Mayo or after this project is over. The 50 products will be deluxe and sample sized products so 50 is a doable number but it will also help move a lot of smaller products out of my collection. So stay tuned for more info!